We hold the expertise to offer a range of Bronze Pad to our clients. These are made using optimum quality brass, bronze, phosphor bronze and allied material. The Alumina liners are fitted onto a mould and metal is pressed between and at the back of the liner in such a way that liners become one unit. These liners transfer impact to the metal as such have greater impact bearing capacity. We are the Leading Manufacturer & Supplier of Bronze Pads. 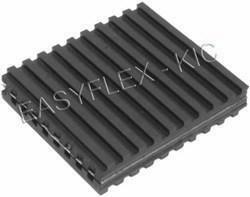 - Metal Sandwich Pads are constructed of a steel plate bonded between Ribbed Anti Vibration Pads. - Designed for very high load capacity. 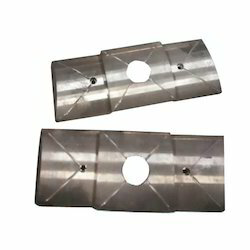 According to the needs and demands of our clients, we are engaged in offering a wide array of White Metal Thrust Pads. These products are well equipped and offer a high level of output without any hassles or hindrance. All these products are well known for their supreme performance, high quality, and smooth finishing.